Moon / August 18, 2016 / L.A.
I’ve been using essential oils regularly for about a year now. I learned all about them while I was living in Miami Beach and signed up for the ArōmaTouch Technique Certification Training at the local yoga studio (shout out to Synergy, I also took my 2nd yoga teacher training here). I didn’t know much about essential oils, but I had always been curious. I would see them in the health & beauty section in health food stores, but didn’t really know to use them. During the course I got educated on the usage of essential oils and how they are used to treat common ailments. I also got introduced to dōTERRA, which is a company that makes awesome potent essential oils. Without getting into too much detail here’s the low down. Essential oils are natural, effective, and safe. You can use dōTERRA essential oils to restore and prevent in 3 ways: aromatic, topical, and internal. Aromatically, they can clean the air, open airways, and affect mood. You can rub some in your hands and breathe into them or use an aroma diffuser. Topically, you can apply to the body or mix them in with your other products. They are most effective when applied to the bottom of the feet and on the spine, but can be applied to any specific area (ears, neck, chest, stomach are all good too). Internally, you can mix with water to drink, place a drop under the tongue, or use them for cooking. Only 1-3 drops are needed for all methods. Also, essential oils are not greasy, the consistency is more like a tincture. There are so many benefits to gain from using them and they make great gifts. I would start by getting a few basic ones like lavender, melaleuca, and frankincense. I personally have about 25 different ones. Do I use them everyday? No. Do I always go back to them? Yes. The ArōmaTouch Technique is dōTERRA’s clinical approach to applying essential oils along energy meridians and visceral contact points of the back and feet to help balance sympathetic and parasympathetic nervous systems of the body. The technique addresses stress, toxic insult, immune support, inflammatory response and autonomic balance. It helps the body return to a state of homeostasis. I’m certified in this so if anyone wants this massage treatment shoot me an email (I’ll likely have to bring my manual as it’s a super specific process and I had to take an oath that I would not change it up, but it’s all good. I’m also going to get a massage table soon so I can do them at the house). dōTERRA is a private, multi-billion dollar company and is less than 10 years old. So many people from around the globe are benefiting from these products, numbers don’t lie, don’t be left out in the cold with a cold. If you want to order from doterra, you can use my member enrollment number (you will need it) – 2601112. I’m actually not set up to make money from this right now, but maybe I will one day as I love the products and I know a couple people who make over $20k/month doing it. But again this is NOT a sales pitch, I’m not gaining from this. There are definitely a lot of other essential oil companies out there, but doterra is the one I use and it’s one of the only ones I’ve seen that is food grade, so you can take them internally (they aren’t all meant to be taken internally, it’s indicated on the bottle). There is another brand I will be trying soon because they have some oils that doterra doesn’t offer. You can use the oils in so many ways to help so many problems. Here is just a small list: acne, arthritis, ADD, burns, cellulite, constipation, flu, fungus, heartburn, migraine, warts, wrinkles, and so much more. They are great for kids and babies too. I’m a huge fan of them. I hope you will try them and let me know how you like them! *NOTE: after doing more research on the Doterra brand, I believe buying essential oils that are certified organic is a better option, however, essential oils are still very valuable and to be used as mentioned. I will be editing and making a new post soon. Hey Ashley, Def the diffuser. It’s cleaner and you will get more benefits. 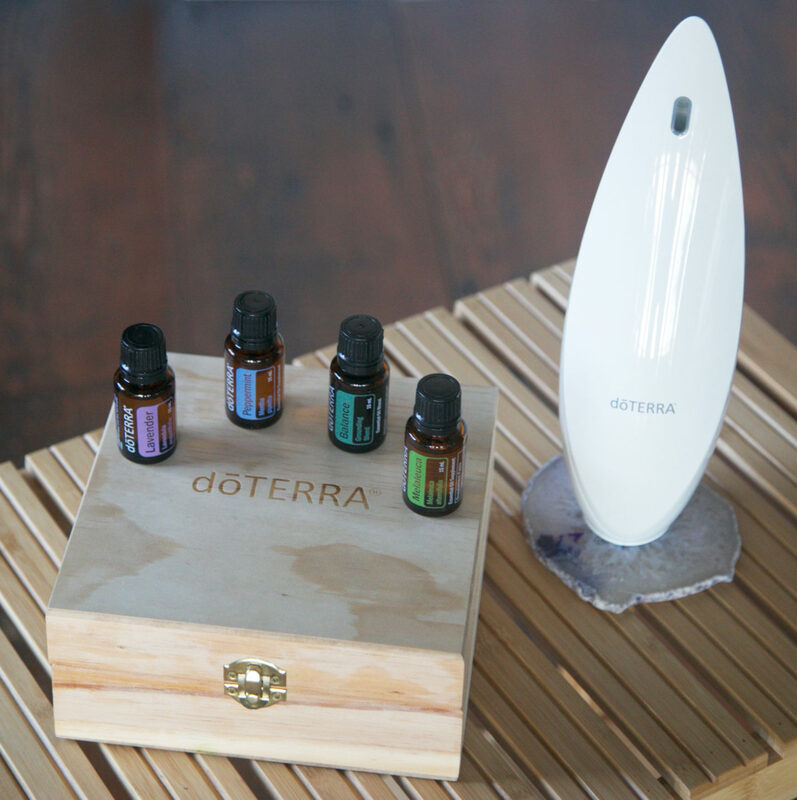 My go-to oils for the diffuser are peppermint and purify (doterra cleansing blend). do you recommend a diffuser or oil burner (not sure what it’s call) and what are your favorite oils for this for around the home?